This mode turns on entry and voting specifically for you, even if your contest isn't currently live to the public. 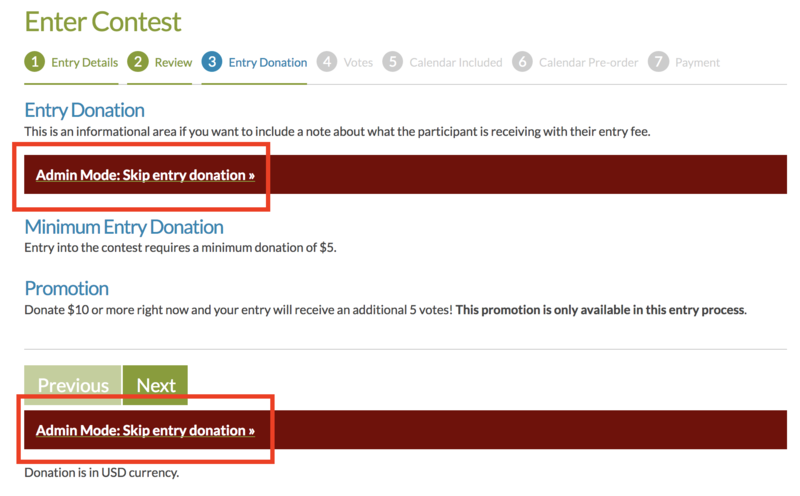 It also allow you to bypass your contest's entry and voting fees. 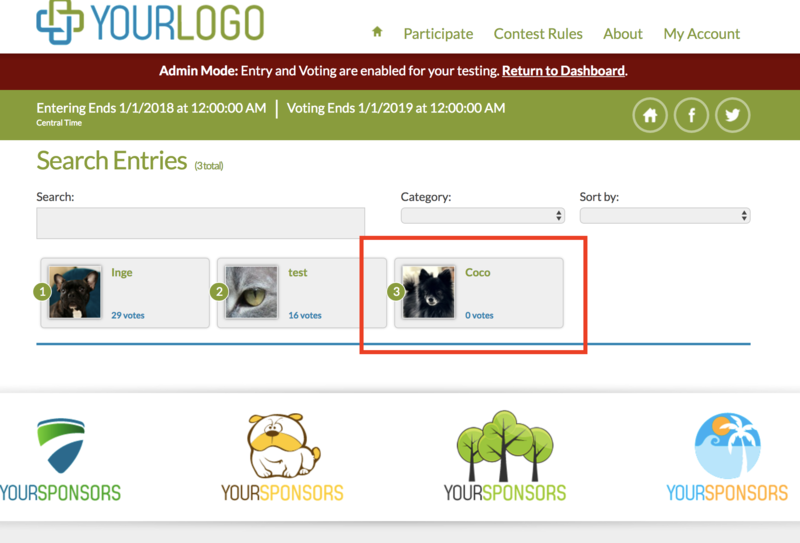 You will know that your photo contest site is in Admin mode if a red bar appears across the top of your photo contest site. 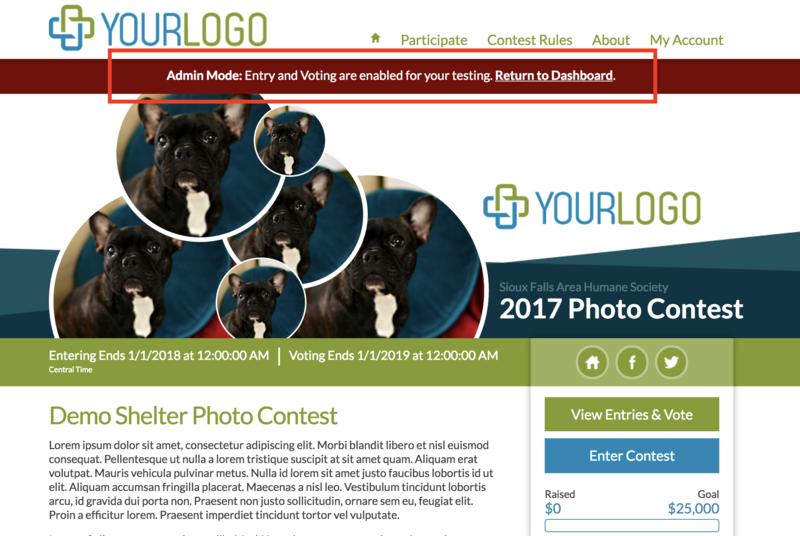 If the red bar does not appear across your photo contest site, it means that you are not currently logged into the GGPC Admin. 4. 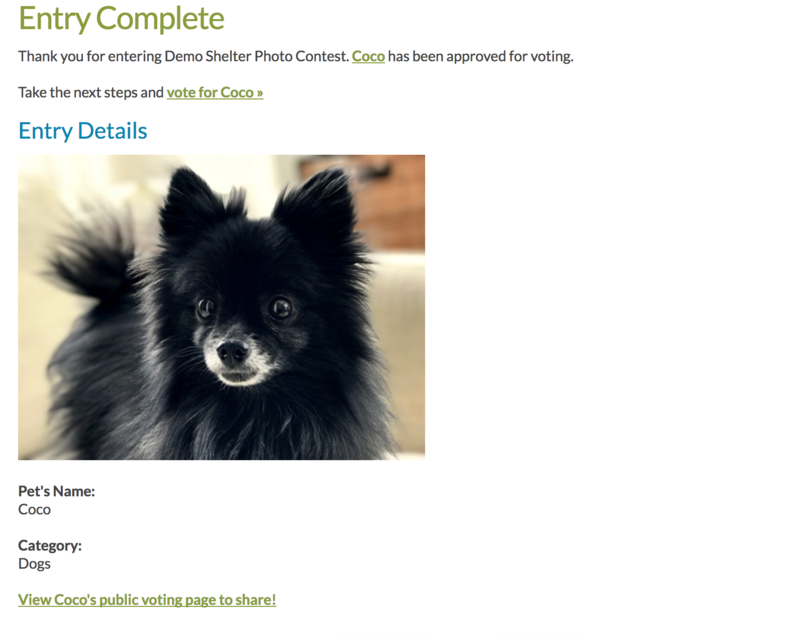 Proceed with submitting an entry into your photo contest. IMPORTANT: You will need to create a separate user account at the photo contest site if you haven't already done so- this is a separate account from your GGPC Admin account. 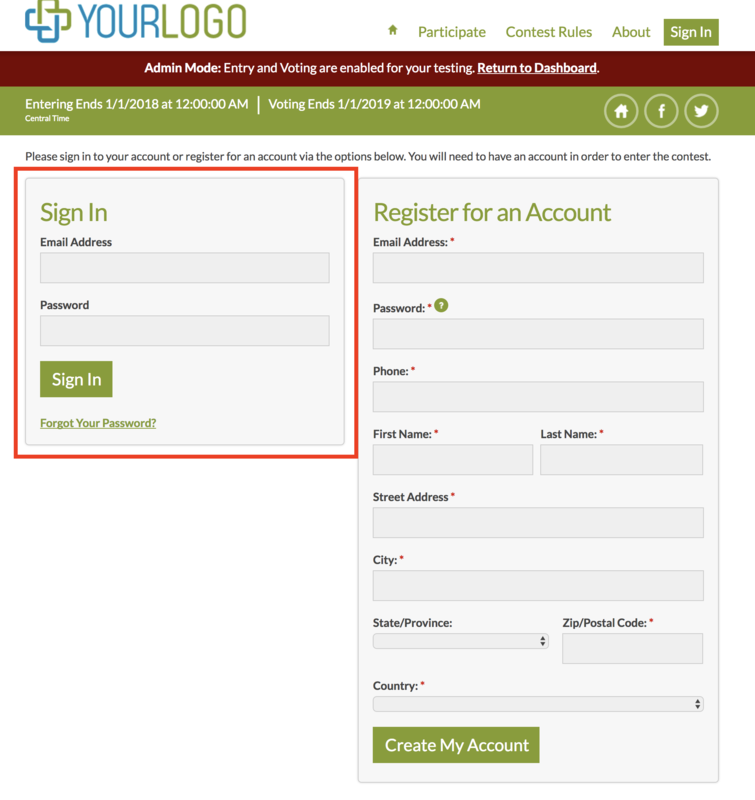 You can use any email address and personal information that you wish- it does not have to match the information provided in the GGPC Admin. 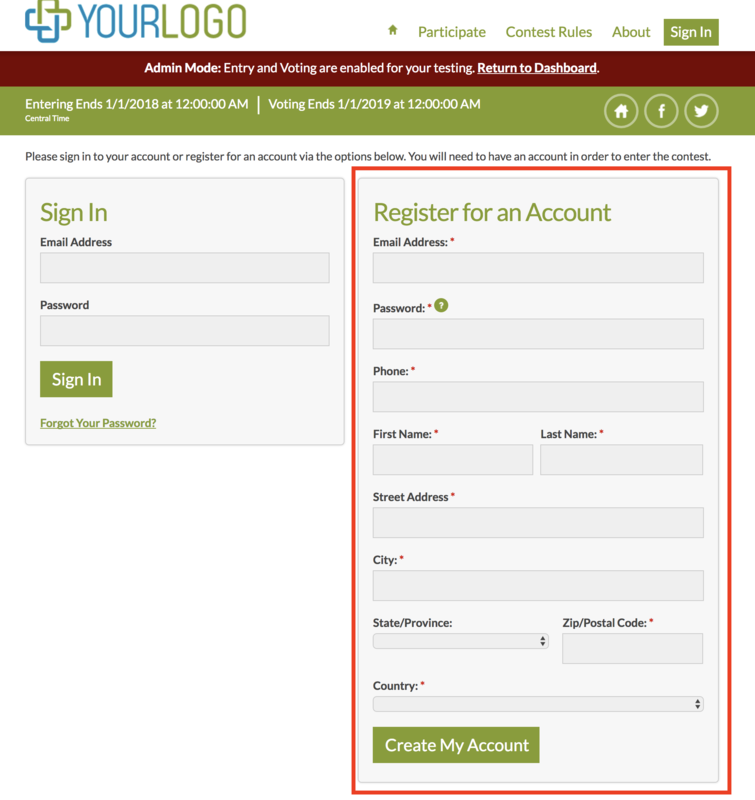 You can use the same user account for all of your test/offline entries- you do not have to create a separate account for each one. 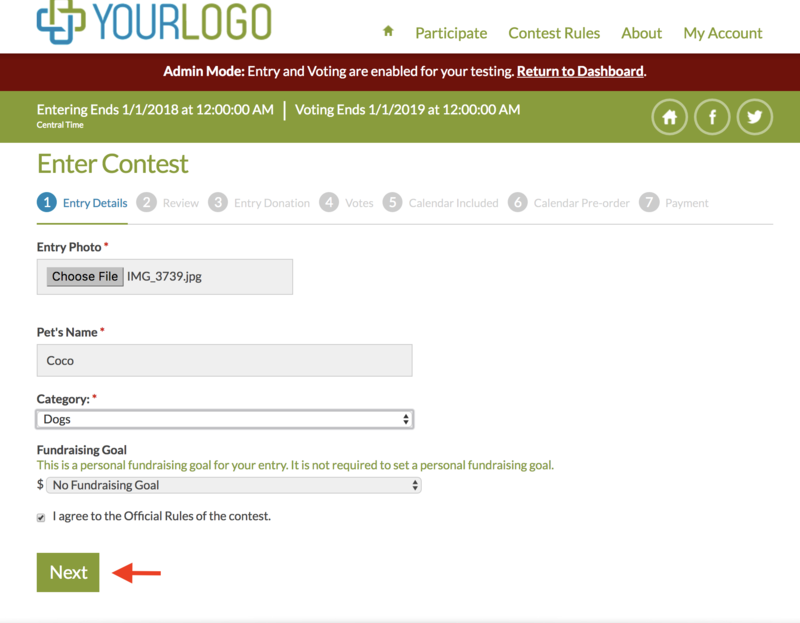 OPTIONAL FOR TEST ENTRIES: After submitting your entry, the choice is yours if you want to remove your test entry before launching your contest. 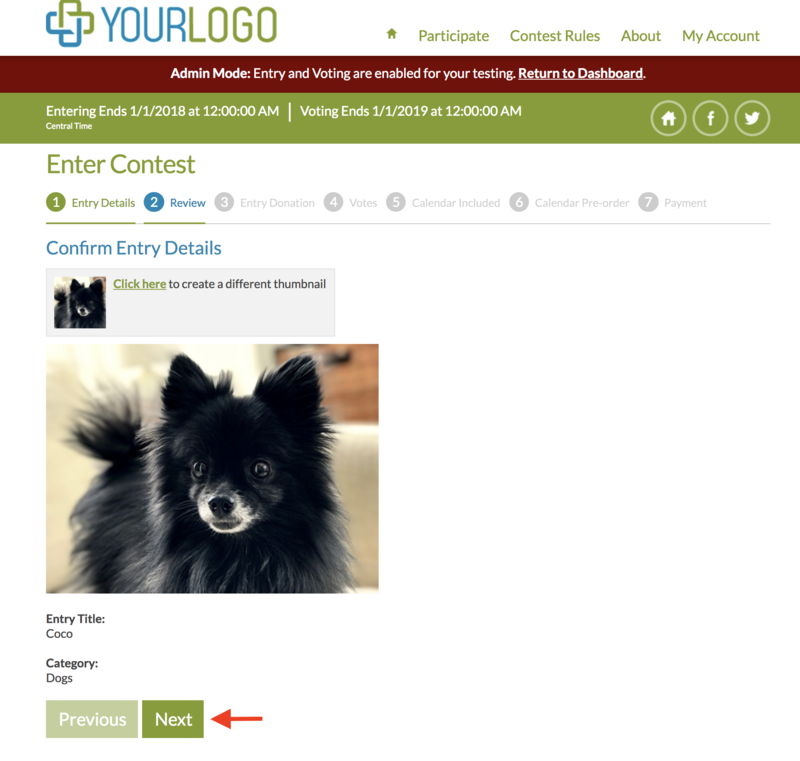 Some organizations submit test entries and leave them as a way to encourage other participants to enter (in case anyone is feeling shy about being the first entrant). If you'd like to remove your test entry, you can follow the instructions here.